Big Sean rap career; the Detroit emcee tagged it as a “concept album” about rebirth. Sunday, Sean Don gave his fellow Detroiters the first listen to his Motown-inspired project. Friends, family and some limited press gathered at the Museum of Contemporary Art in his hometown for the special listening party.”I love y’all,” he said to the crowd.According to the Detroit Free Press, The Flint Chozen Choir, who appear on the album’s closing track, “Bigger Than Me,” were also present. Though he admitted the audio wasn’t perfect, Big Sean played his 45-minute album while rapping along. 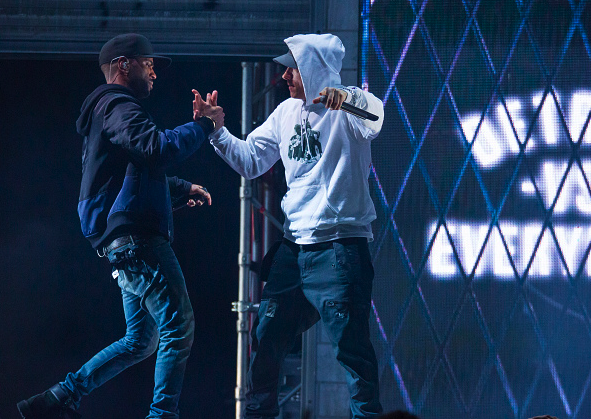 Fans got a chance to listen to “No Favors,” featuring Eminem. Though the reclusive rapper wasn’t there, his high-energy vocals shook the room. One voice yelled out.